Due to unavailability of a secondary school in Mehgaon area of Madhya Pradesh's Harda district, around two dozen children of the village are forced to walk through a forested area and cross the Ganjal river to reach a school in Bori. "There are 232 students in the school. 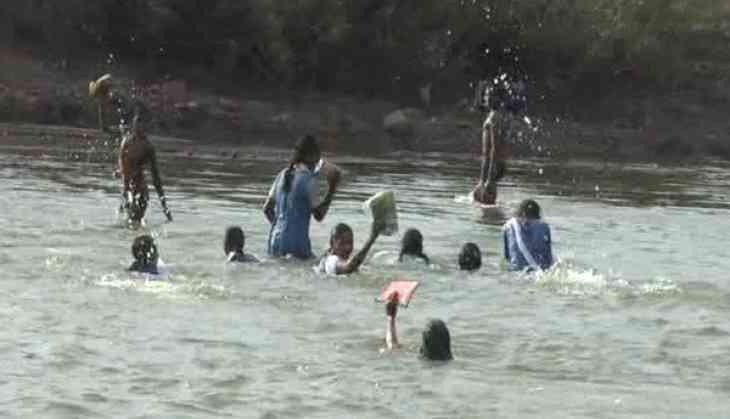 Students, who hail from Mehgaon, are forced to cross a river and a jungle to come to study in Bori since there is no high school in Mehgaon," Gyan Singh, a teacher at the secondary school, told ANI. The students travel about seven kilometres to reach their school. "It's not easy to cross the river on a daily basis, there is a lot of risk. However, there is no other option," a student said. According to the local panchayat, recommendations have been made to higher authorities to build roads and a bridge across the river, however, nothing has been done so far. "On multiple occasions, we have written to authorities with a demand for proper roads and a bridge across the river. It's a big work, which doesn't fall under the panchayat. Hence, we have to talk to the higher authorities for the same," said Naveen Vishwakarma, Secretary of Bori Panchayat.